Here are 2 Caribbean young ladies, Safiya Bannister and Laurelle Martineau who both have entered the world of professional athletes, thanks to carnival. Their regular body tune ups for various carnivals between North America and the Caribbean was their initial motivation. But nowadays they have fine tuned their bodies for the sport of body building which they each have become passionate about this year. So much so, carnival is no longer their priority! 'Though carnivals are not forgotten. Laurelle admits having to forget Miami Carnival this year for competition. ... And Safiya donned her 2011 YUMA carnival costume on stage during competition. 'Though I won't think about working out right now, these ladies are such an inspiration! "I just wanted to get in the best shape in my life and prove that I could do it." 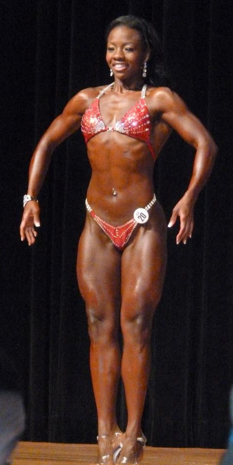 Last Saturday, I did my first fitness competition with World Bodybuilding Fitness Federation (WBFF). I did two divisions bikini and fitness. I wasn't too sure where I would do better hence I entered both categories. 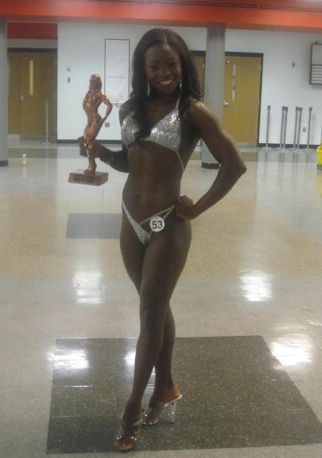 I came first place in the fitness category which gave me my pro status. In the bikini division I came in 8th place. Since this was the world championship, athletes from all over the world came to represent. Competition was fierce. So just to come in the top ten was a big accomplishment for me. I just wanted to get in the best shape in my life and prove that I could do it. I had a blast and hopefully this is the beginning of exciting times. For the last ten weeks I have been eating very clean. Lean meats, lots of green veggies, complex carbohydrates like brown rice, sweet potato and oatmeal. I really focused on doing it the healthy way. Workouts consisted of intense weight training in the evenings and cardio in the morning. There were a lot of sacrifices that needed to made which included waking up early every morning to do cardio. No alcohol, hence not going to Cropover (Barbados) or Caribana (Toronto) carnivals. Having to give up a lot of summer treats. Also, not everyone will agree with entering a fitness competition. I gained a lot of fans but I also lost some. So my recommendation is that you are sure, you want to do this first. ... And when I shared Laurelle's facebook fanpage with Safiya, this is what she had to say, "The other girl u were asking about is Laurelle. Really nice girl. Seen her in BIM for Crop (Barbados for CropOver) and weddings. She is in another federation and does figure which is a different body type." "Since I won my Pro Card, I am no longer eligible to compete in the amateur competitions. I have to now run with the wolves aka the Pros." Where do I start? What inspired me? Well I was always a fairly active competitive person but I am also a carnival junkie so I used to put in more effort into my workouts when I had to go home for carnival. When I first started, my workout regime would stop after Trinidad carnival but then I started to go the other carnivals through out the year. This forced me to maintain a “carnival physique” for the greater part of the year. As time passed and I saw how incredible the human body was in the way it responded to what ever you did to it. I started to explore different types of workouts. I was particularly drawn to lifting weights. I loved how it felt after a great resistance workout and I loved how the muscular (yet feminine) frame looked on my body. After a couple years of recreationally lifting weights in the gym I wanted more and the next obvious step to me was to start competing. It didn’t happen right away though as it took me a couple more years to sum up the guts to actually do it. I did my first two competitions with National Gym Association (NGA) and Organization of Competitive Bodybuilders (OCB) respectively. They are both amateur associations affiliated with The International Fitness & Physique Association (IFPA). 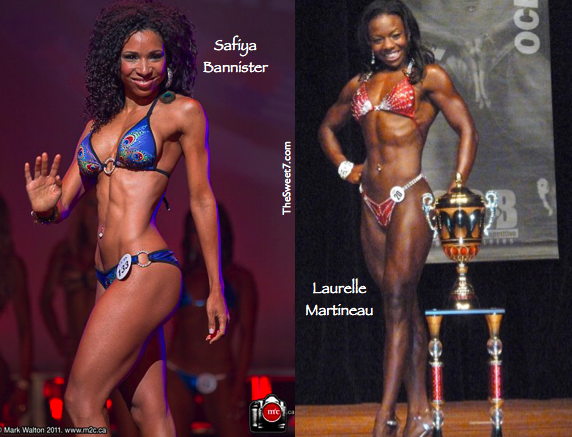 IFPA is a professional level natural Bodybuilding and Figure federation. Natural means it is “drug free”. Competitors who win Open division overall titles at IFPA pro qualifiers, and whose urine tests are negative, earn their Pro Card and become eligible for IFPA Pro competitions. 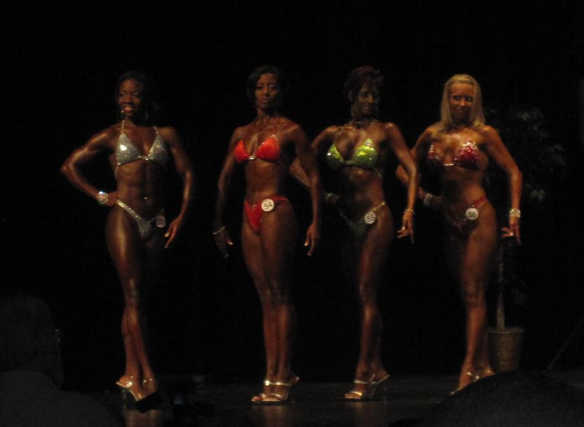 I won my Pro Card the 2nd time I stepped on stage. It is a moment I would never forget. Since it was my first local show (in DC) I had a lot of supporters who came out to see me for the 1st time, so sharing that moment with them was heartwarming. I started my intense workouts 3 months prior to the competition. I used to eat fairly ‘clean’ meals in general so the tweaks to my diet primarily involved cutting out my bad snacking habit. I have a tendency to overdose on snacks. Before the competition my obsession was with Doritos. People never quite believe me when I tell them that I can eat a jumbo sized bag by my self in one day (sometimes in less than an hour lol). Since I liked to workout sticking to the diet was where the major discipline came in. Oh and I am not a fan of cardio that much either so incorporating more of it into my workouts was another major task for me. With regards to the diet it mainly consisted of lean protein and complex carbs. I ate portioned meals 5-6 times a day every 2-3 hours. Eating on time was very important so I always had to plan ahead. To learn more about the sport I did a lot of research online and luckily I had a coach and a team, (Team FitXplosion) of other competitors who guided me along the way. Words can not express how fortunate I was to have them by my side. The guidance and support they provided were irreplaceable. Since I won my Pro Card, I am no longer eligible to compete in the amateur competitions. I have to now run with the wolves aka the Pros. Since my mind is still in the game I have decided to attempt my first Pro competition on Oct 8 in Cape Cod Massachusetts. Sadly, that means I will be missing Miami carnival this year . If I rank in the top half of that competition I will be eligible to compete in a Pro World competition called the Yorton Cup in Washington DC on Oct 29. It's one of the largest shows the IFPA has for the year. Also, since competing a lot of people have been approaching me for advice on what they should do to start a healthy lifestyle. This prompted me to get my personal trainer certification so that I can be more knowledgeable and help others reach their goals too. It would be kinda selfish to have all this knowledge and not share it. My hope to be certified before my next competition. Competing has been one of the best things that I have ever done for myself. It has given me focus, confidence and an elevated drive for achievement. I get to push my body and see it change into what I consider my best! I was able to overcome my fears, do something great for myself and meet lots of wonderful people along the way. The hard work is so rewarding and the results are well worth the effort.